Major League Soccer boasts a total of 246 players born outside of the United States, representing a total of 57 different countries from around the globe. When the MLS SuperDraft draft rolls around each January, you’d be hard pressed to find someone envious of commissioner Don Garber’s task of announcing the sometimes hard to pronounce names of the draftees. “The Colorado Rapids, with the 14th pick in the first round of the 2015 MLS SuperDraft, select, from Marquette University, defender Axel Sjöberg,” Garber announced. The commissioner got it wrong. Sjöberg didn’t care. The moment came and went like a blur, and to this day still stands out as one of the happiest moments of his professional soccer career. Don Garber is in good company. Most native English speakers can’t properly pronounce Sjöberg, a name which means ‘sea mountain’ in his native tongue of Swedish (he’s settled on the anglicized pronunciation of ‘Shoe-burg’ since joining the Rapids). 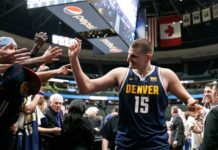 The name is fitting for the 25-year-old defender, whose massive 6-foot-7, 210-pound frame makes him the tallest player in MLS, earning him nicknames like ‘Mountain Man,’ ‘Big Ax,’ and ‘The Big Easy’ from teammates when he found his way to the mountainous destination of Colorado. Sjöberg was unlike the typical college draftee. 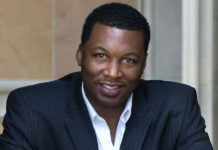 Prior to a four-year stint at Marquette University, he was already preparing for life as a professional soccer player. From the age of 6, he was groomed in the youth academy of Djurgårdens IF, one of the most storied clubs in the Allsvenskan, the top-flight league in Sweden. Yet when the time came to make the move to the men’s senior team, the club of his boyhood didn’t afford him the opportunity. Sjöberg was devastated. That missed opportunity quickly unfolded into a new one, when his father suggested attending college in the United States as a different path. It was a path which would allow his son to play soccer at a high level, while at the same time earning a degree in finance should his soccer dream not pan out. Despite the ongoing debate in both Europe and stateside as to whether American college soccer can produce some of the sport’s elite, Sjöberg insists that it was this next step that helped him turn the corner in his professional career. 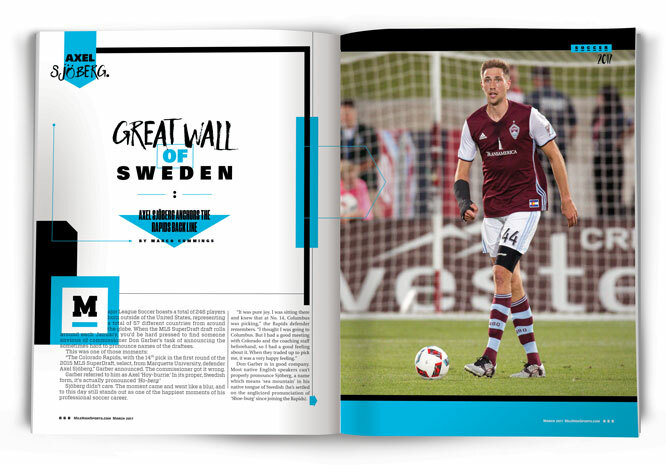 After being drafted by Colorado, the big Swede began to show flashes of his worth as a starter in his rookie campaign, scoring multiple goals off set pieces in the preseason and helping the Rapids achieve shutouts in his first two regular season appearances for the club. But as Colorado’s 2015 season rolled on, injuries began to pile up, while points in the table did not. Sjöberg was one of many Rapids players who spent time sidelined that season, missing multiple weeks with a knee injury, among others. “For me it was all about staying healthy and adapting to the tempo,” Sjöberg explains. With better techniques in navigating the long and punishing season of MLS, Sjöberg displayed a meteoric rise in 2016. He more than doubled his appearances from the previous season with 31 starts. 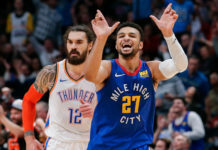 In doing so, he logged the most minutes of any defender on a Colorado Rapids defense that was undisputedly the best in MLS with a league-low of 32 goals conceded throughout the regular season. He also pitched in offensively with two goals – a game-winner in a 1-0 win over Seattle and an extra-time equalizer in a dramatic extra time 2-2 draw in Vancouver, scored after breaking his wrist in the game. Known as a thinker throughout his 15-year playing career, Mastroeni has a keen eye to recognize that shared quality in Sjöberg. Off the field, Sjöberg is a gentle giant, known as quiet and considerate by coaches and teammates. Appropriately, he enjoys low-key hobbies like photography, cooking, playing music and date nights with his girlfriend. His guilty pleasure? A cheat meal of ice cream on off days. Like many of his teammates, Sjöberg also remains actively engaged in community and philanthropic efforts. These days, he volunteers with Calico Culture, an organization which forms connections and arranges extracurricular activities for international students. Sjöberg, of course, arranges pickup soccer games for the students; the sport otherwise known as “the world’s game” serves as a cross-cultural link. It’s a stark contrast from the enforcer that Sjöberg becomes on the field. His reserved demeanor turns fierce as he barks orders at teammates. He’s also confident to bully the likes of some of MLS’s best strikers including Sebastian Giovinco, David Villa and Bradley Wright-Phillips. In fact, none of the league’s top five scorers could break down Colorado last season, which surely helped Sjöberg’s case as a finalist for MLS Defender of the Year, in addition to his selection to the MLS Best XI. To say the Rapids did better in 2016 is an understatement. On the back of the team’s stellar defense, Colorado found itself in the playoffs for the first time under Mastroeni, the first time since 2013, and advanced to the Western Conference Championship for the first time since winning the MLS Cup in 2010. Last season’s campaign was largely regarded as a success, but bowing out early to the eventual MLS Cup winners, Seattle, at home left Colorado hungry for more. For Sjöberg and others, it’s been the motivating factor in Colorado’s preparation for 2017.